If there’s one thing I could do without, it’s tip jars. You’ve seen them: “Tips are appreciated!” they say. Well, of course they’re appreciated, but are they earned? Lately, these not-so-distant cousins of the cardboard beggar sign are proliferating everywhere there are food stuffs—mall food courts, snack bars, restaurants, coffee shops and other places they have no right to be. I recently had lunch at a restaurant where there was a tip jar present—a place where I prepaid the cashier for my food. Let’s see: I had to get up and fetch my meal when you called my number, I had to grab my utensils and napkin, I had to pour my own water—and I tip you because ... uh, because you deftly tore off my receipt and handed it to me? If you want tips, hire a wait staff that will wait on me. How bad has the tip-jar epidemic become? I was at a weekend car sale and there was one at the weenie wagon where they dispensed free hot dogs and soda. That’s right, free food. I also saw a tip jar at a take-out pizza place. Did you catch that? A take-out pizza place! 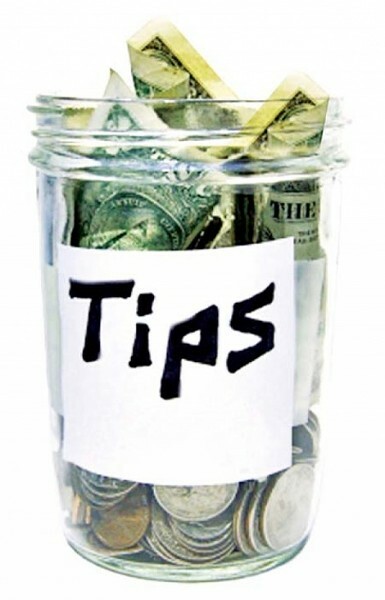 The bottom line is that tip-jar contributions should be avoided at all cost. One should feel no shame in doing so. In fact, puff that chest out and walk by said tip container with pride. If you feel the need to give someone other than bona fide wait staff or a barkeep a tip, the only exception should be a Hot Dog on a Stick employee; the money will help defray the cost of years of therapy for wearing those emotionally scarring outfits. Otherwise, give the tip I received once from an old man I waited on years ago: “Plant your corn early, son.” Gee, thanks, old guy.